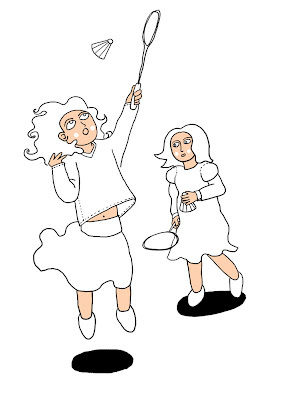 I made this illo to go with a psychology text about raising kids. It was published last week in a brand new magazine called Koko that I have recently designed. The magazine is produced for Polish clothing company Coccodrillo and is available for free in their stores all over the country. The final spread from Koko, #1 2009. This is my debut as illustrator for Przekrój – Polands oldest (est. 1945) and coolest (no question about that!) weekly newsmagazine. The text I had to illustrate was a hard nut to crack – a scientific article about about yucky stuff like body fluids and digestive gasses. Anyway... The art director was more than happy about my work so I guess it came out quite well. Yuck! The spread from Przekrój, #7 2009. Click here for the online version. 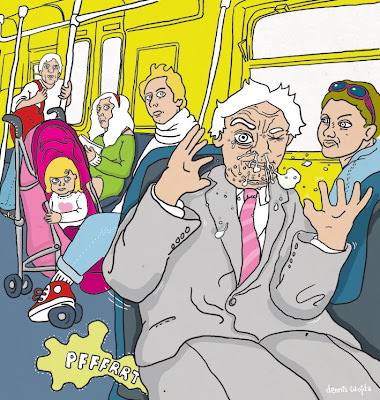 I have recently made a new 2-page comic to be published in Ziniol. It features a new character called Mister Jerk (Pan Burak in Polish) and the storyline has been written by Joanna Sanecka. I'll present the whole story later on. Ziniol will be out for sale in March. At the moment I'm working intensely on the redesign of another one of my comic books. 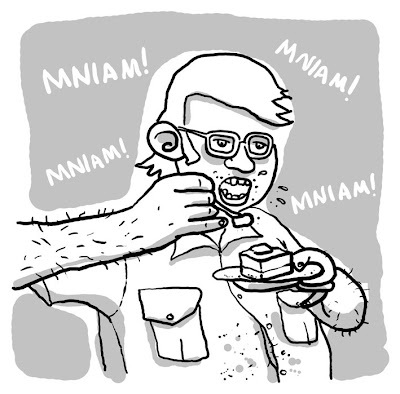 I can't show you more at this point as it's all very hush-hush. Anyway... The cover you see here is based on the old one (illustration by Krzysztof Gawronkiewicz) but with new typography and design approach. This reedition will be published by Egmont in March and the translation of the Polish title reads Mohair Dreams. The book was first published in 2002. 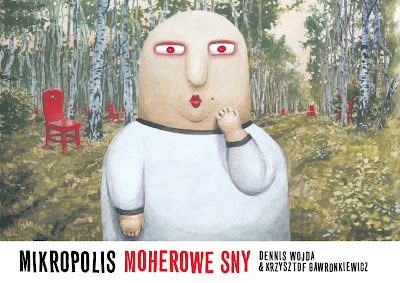 Mikropolis is a comic series created by Dennis Wojda (script) and Krzysztof Gawronkiewicz (illustrations).